One of the most depressing days for me is January 8th, also known as the day Christmas comes down. I seriously wish I could leave up Christmas until April! I suppose I could do that, but that would be like branding myself the crazy Christmas lady in the neighborhood. Now, I have to get so pumped up about decorating for the next holiday that taking down Christmas is slightly less sad, emphasis on the word slightly. Cue Valentines Day. I am so in love with “love” and being romantic, I just love that there is a special day dedicated to loving others and getting flowers and chocolates, even though some could argue that its all commercialized. And to those people I say: No. Its not. 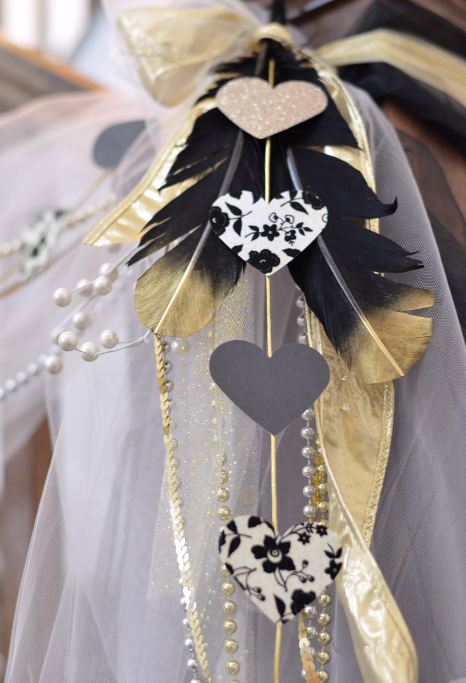 This year I went with baby pink and glam using everything from gold dipped feathers to scrapbook paper. 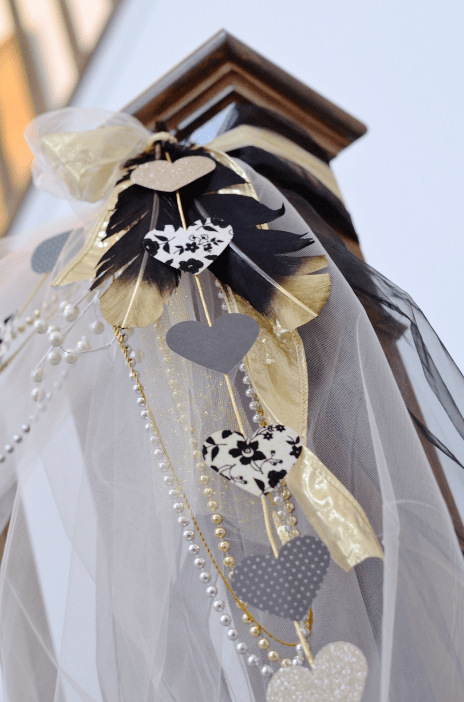 Heres what I actually used to achieve this look: light pink tulle, black chair sashes, silver and gold strings of beads (from my Christmas decor), sequin ribbon, gold rope with paper hearts taped to it, and gold dipped black feathers (all items came from Joanns or Hobby Lobby. 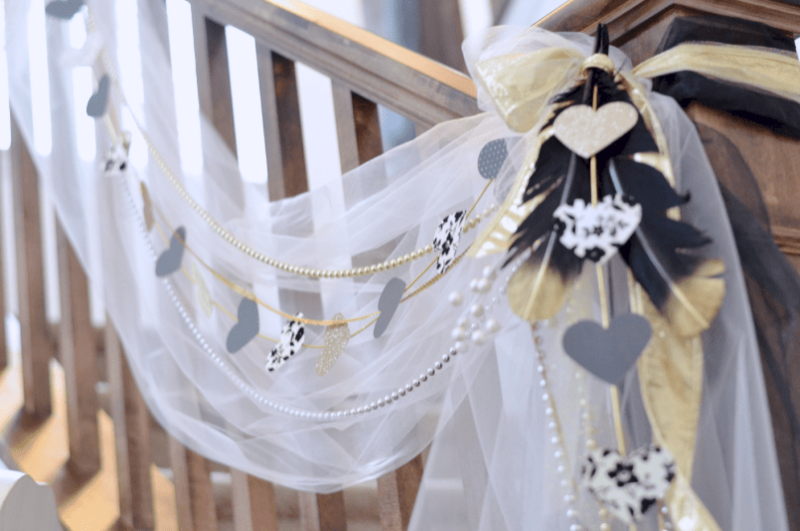 I used 16 yards of tulle to have it draped over the banister like so, and layered and layered all of the glam components. 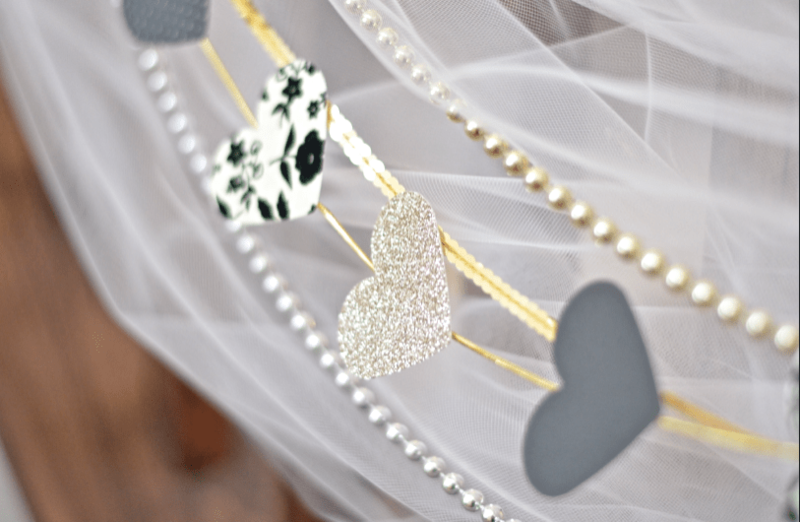 The paper hearts on a string are my favorite part of this project, because they were SO easy. 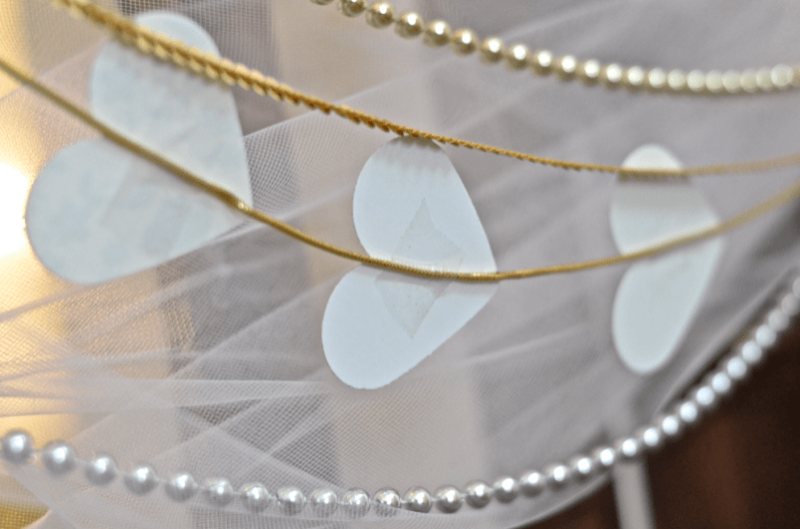 Punch hearts and tape to a gold string. Boom. 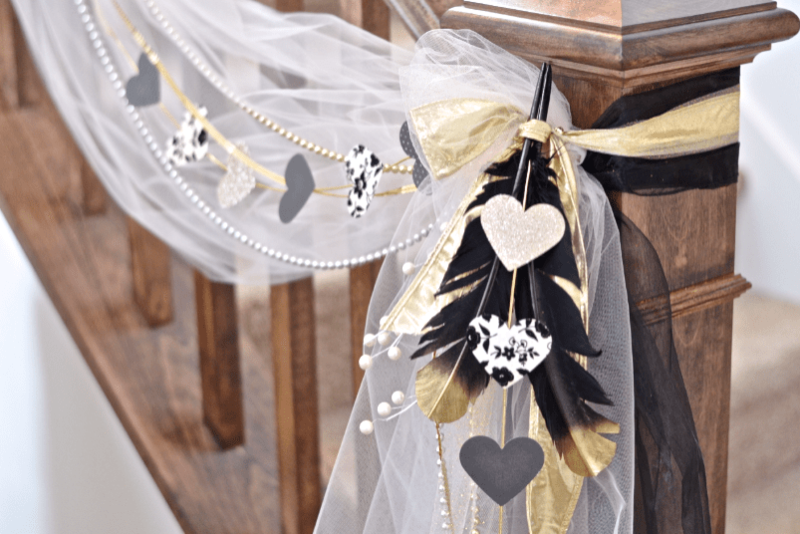 What colors schemes are you using in your Valentines Decor?